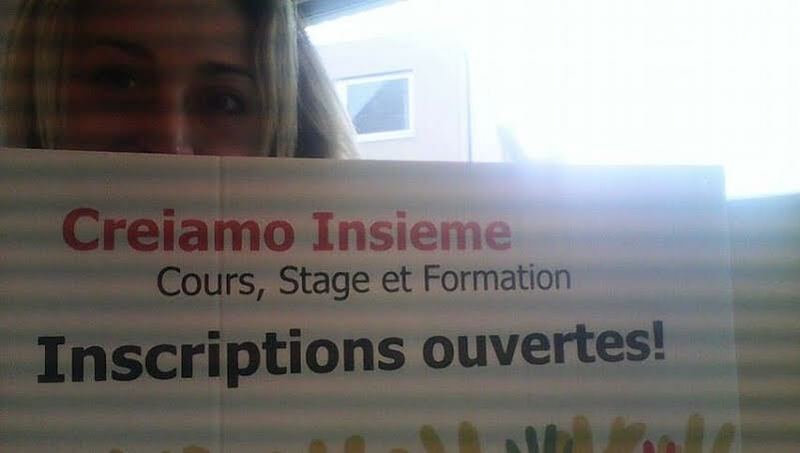 My name is Gaia and I am an Italian educator. My business plan idea is to create a structure that provides services for children in a farmhouse or a farm, with the aim to develop in children the idea of green, nature, seasonal …an agriasilo pratically. The structure that will host me, in Belgium, in Brussels, is not really an agriasilo. 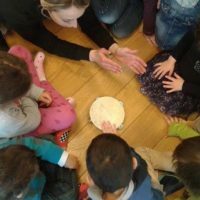 Creiamo Insieme is an asbl which offers a range of services for children ranging from cooking and gardening workshops, to creative and re cycling ateliers. 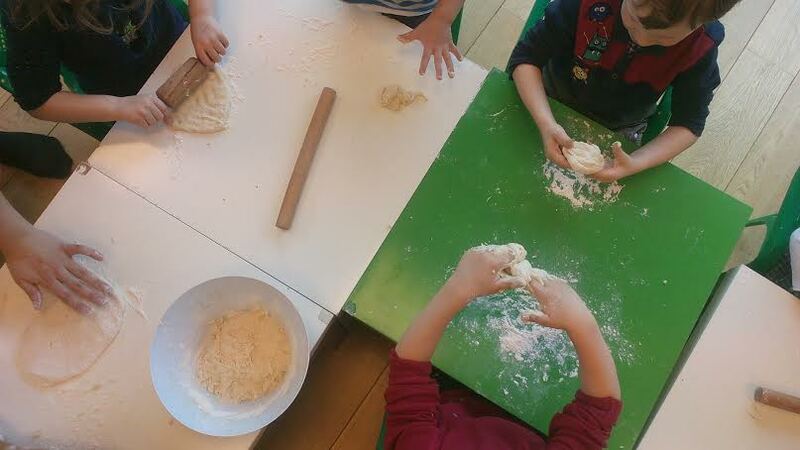 It ‘s an happy island where children feel safe and free to express themselves … using the Italian language! 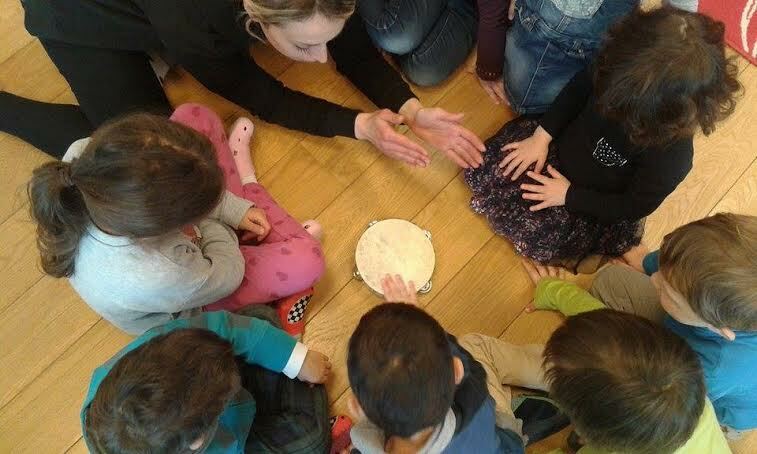 In these first weeks I had ways of knowing the manager and founder Clorinda Venturiello, art therapist with the passion for the world of childrens and hers staff of educators: Valeria, Rosanna and Veronica, all Italian, all with the passion for art, nature and children of course. 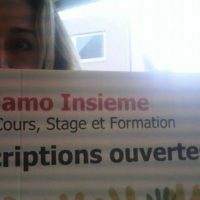 Upon my arrival to Creiamo Insieme was in course the Easter Internship (here in Belgium schools are closed two weeks for Easter holidays, and are offered valid and entertaining alternative to the school as internships, campus etc.) The wire conductor of the stage was the story of Luis Sepulveda “ Story of a snail who discovered the importance of slowness “, every day was read for the children a chapter of the book and were offered creative atelir having to do with the story, then the children cooked and ate (this is a great teaching method in my opinion) and the afternoon continued with workshops and laboratories. 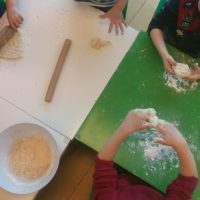 These two weeks have been intense, very interesting (from the education and training side) and above all very entertaining…with children we never get bored!